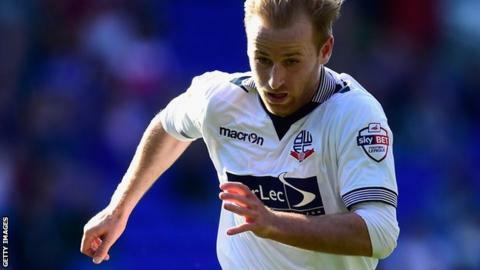 New Sheffield Wednesday midfielder Barry Bannan believes the club can compete for promotion to the Premier League this season. The Scotland international, 25, signed a one-year deal with the Owls on Monday after being released by Crystal Palace. He told BBC Radio Sheffield: "It's a sleeping giant in the Championship and I think the new owners will give it the kick to get back to the Premier League. "They've brought a lot of players in this summer who are all good." The former Aston Villa man continued: "The ambition is to get to the Premier League as quickly as possible and hopefully I can be a big part of that. "The potential is there and once everyone gets used to playing together I think we will be there or thereabouts." The Owls, who have added 15 players this summer, have picked up five points from their first five league games this season. Bannan is comfortable with having to fight for his place in the starting line-up, adding: "It keeps everybody on their toes and it's a good thing really because it means you can't rest on your laurels. "I'm just looking to get in, impress and stay in the team."